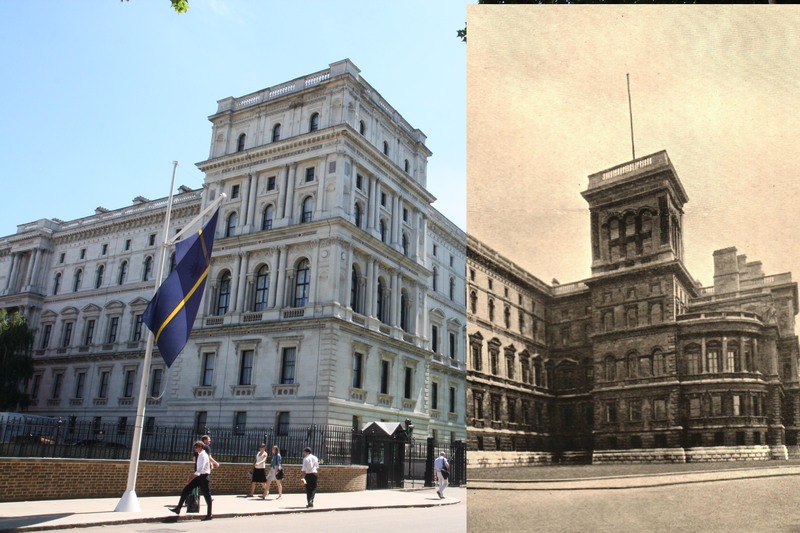 The Foreign Office past and present: tweeting in real time, 100 years on, extracts from Foreign Office telegrams and despatches from the "July Crisis"
Diplomacy, and the Foreign Office, played a key role as events unfolded in the run-up to the First World War. For this reason FCO Historians wanted to mark the event but in an innovative way, and joined up with the Digital Team to use Twitter to take a fresh approach to telling a familiar story. The idea was to tweet, in real time, 100 years on, extracts from Foreign Office telegrams and despatches from the ‘July Crisis’—as the period between the assassination in Sarajevo of Archduke Franz Ferdinand and his wife, and the outbreak of the First World War became known. The Digital Transformation Unit set up a total of 11 Twitter accounts in the names of key British diplomatic figures from 1914: Sir Edward Grey, the Foreign Secretary; Sir Arthur Nicolson, Permanent Under Secretary; Sir Eyre Crowe, Assistant Under Secretary; British Ambassadors in Paris, St. Petersburg, Vienna and Berlin; and representatives in Brussels, Belgrade, Budapest and Sarajevo. FCO Historians wrote and posted the tweets which were drawn from a volume of British diplomatic documents, first published in 1926: British Documents on the Origins of the War, 1898-1914 Volume XI: The Outbreak of War, 28 June – 4 August 1914. Our 1914 diplomats and officials tweeted from their respective accounts and were re-tweeted from a central 1914 Foreign Office account: @WW1FO. People could follow all the tweets from diplomatic despatches as they came in 100 years to the day (and they could also follow all the other individual accounts if they wished to). Our previous blog post provides the context and background for the project. Over 400 tweets were sent over 37 days. The project captured the public’s imagination and quickly attracted over 10,000 followers from around the world; including politicians, journalists, diplomats, overseas posts, foreign ministries, along with members of the public. Channel 4 News featured the project in a WW1 anniversary feature on their website: The road to war – in tweets. There was lots of praise for the creativity of the project: ‘These escalating dispatches are the most thrilling thing on my feed!’; ‘creative and genuinely exciting’; ‘about the best thing I've ever seen on social media. Brilliant’. Also how it presented history in a new way: ‘Really appreciate the efforts @WW1FO are going to capture the events of WW1 build up for a new generation on twitter‘; V cool exercise in immersive history’; ‘splendid @WW1FO - thoughtful, profound and often tragic’; ‘It is explaining the complexities of how WW1 broke out really understandable. Great job’. But it proved not simply to be an interesting historical exercise but followers also drew parallels between diplomatic events 100 years ago and current events. Century old documents brought to life through 21st century social media. As one follower put it: ‘As one gets older one finds technology more challenging - yet @ the age of 152 Sir Edward Grey has mastered twitter’.